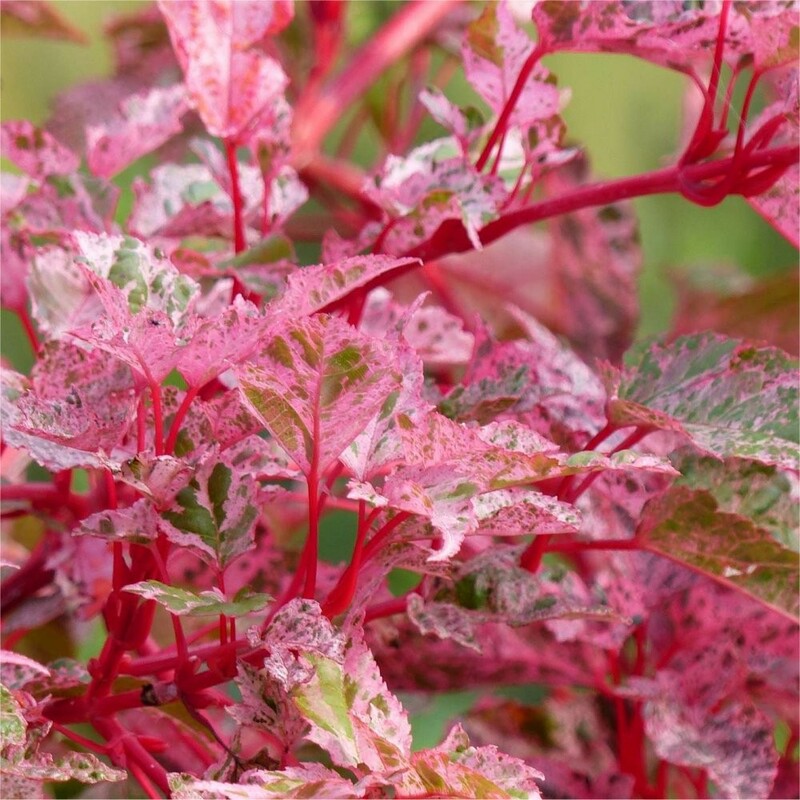 Acer conspicuum 'Red Flamingo' is a very attractive and striking shrub or small tree, with foliage variegated in pink, green and white. 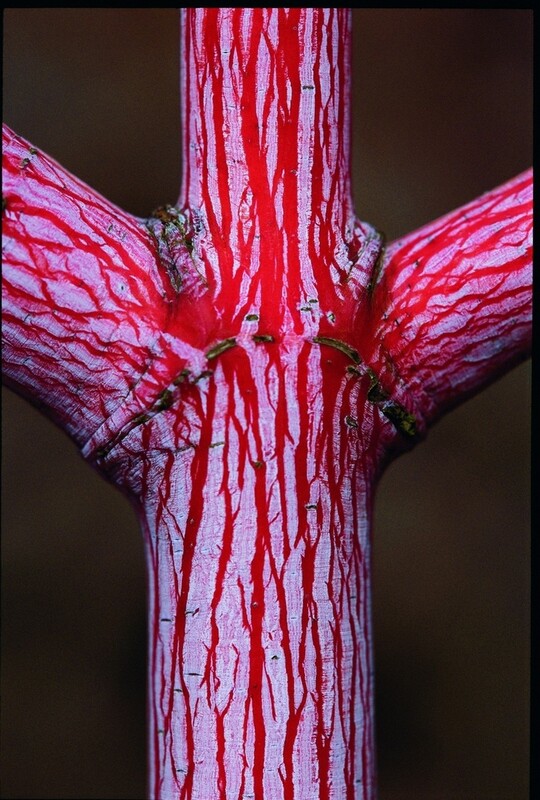 The new stems are bright red, with the bark is red with white markings along its length, perfect for garden interest and colour even in the depths of winter, it will combine well with other small trees and shrubs that have nicely coloured winter bark, such as cornus dogwoods and other Acers. It is this coloured fissured bark that give the tree its common name of snakebark maple. Supplied in approx 3 litre containers.